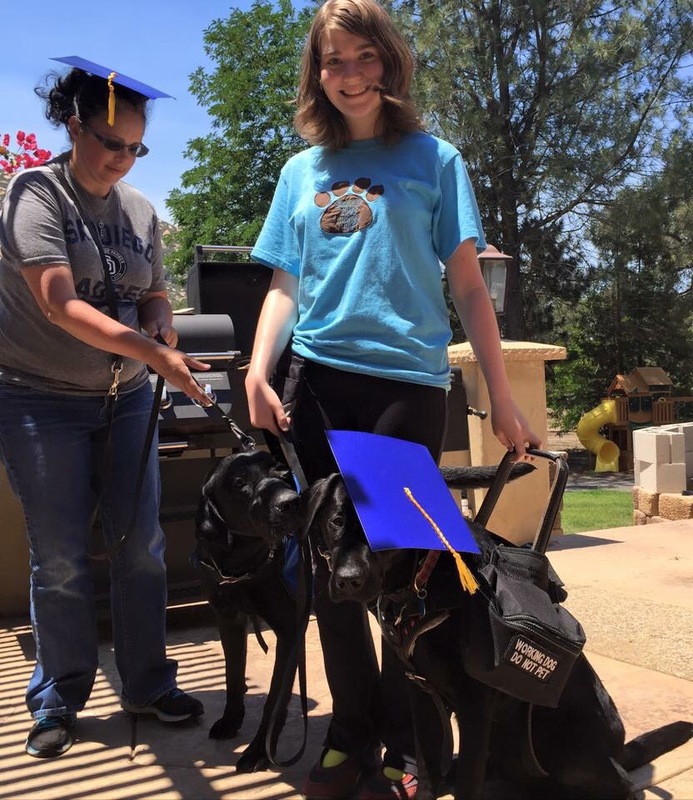 Bud’s handler Leslie and I graduated together, a first for Little Angels. It was the biggest graduation they have ever held. Katie, Savannah, Kellen, and Judy (with Daisy) were all there (pretty much most of the trainers). Bud and Dyson also had different foster parents when they were younger, so both of them were present too. Dyson’s foster mom was a lady named Angie. One of her roles was to bring him to all sorts of places as a way to expose him to many things. 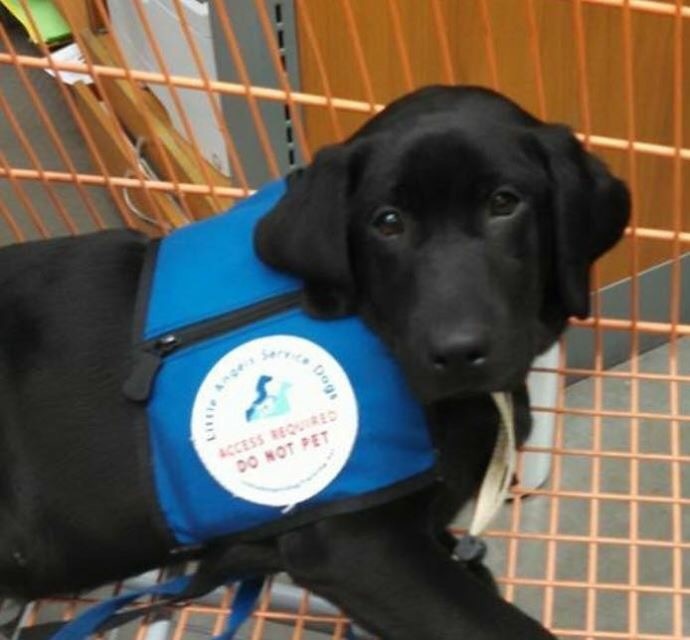 This was important because it helped him grow up to be a calm and controlled dog in public. She gave me a picture of her bringing him to a store when he was younger. On his first trip out he didn’t want to walk, so she put him in a cart. I can tell that it’s Dyson by his facial features, but he’s so much smaller! Before the ceremony, there was some final business to take care of. Katie gave me Dyson’s veterinary and vaccination paperwork. Mom and I handed back over the crate and bowls Little Angels had lended us. Since it would’ve been hard to bring that kind of stuff back across the country with us, we decided to order them online and have them delivered to our house in Florida. My dad and sister would set the crate up and have it ready for Dyson’s arrival. I also reviewed the answers to the last few days of homework with Savannah and Judy. The two of them suggested how I’d train Dyson to press the disability door buttons if I thought it could be helpful. It’s not something I need, which is why it wasn’t in the training contract and taught to him, but it’s something that could be useful. Along with that, I plan to work with Dyson on using a pull rope to open doors. It might be a while before I work on those tasks because Dyson and I still need to work on getting our routine down. Katie made a delicious and beautifully presented lunch for all of us. It was really exciting. I felt shaky as Katie presented me with my certificate. It’s basically a statement declaring that Little Angels believes Dyson and I are trained and fit to work together as a service dog team. 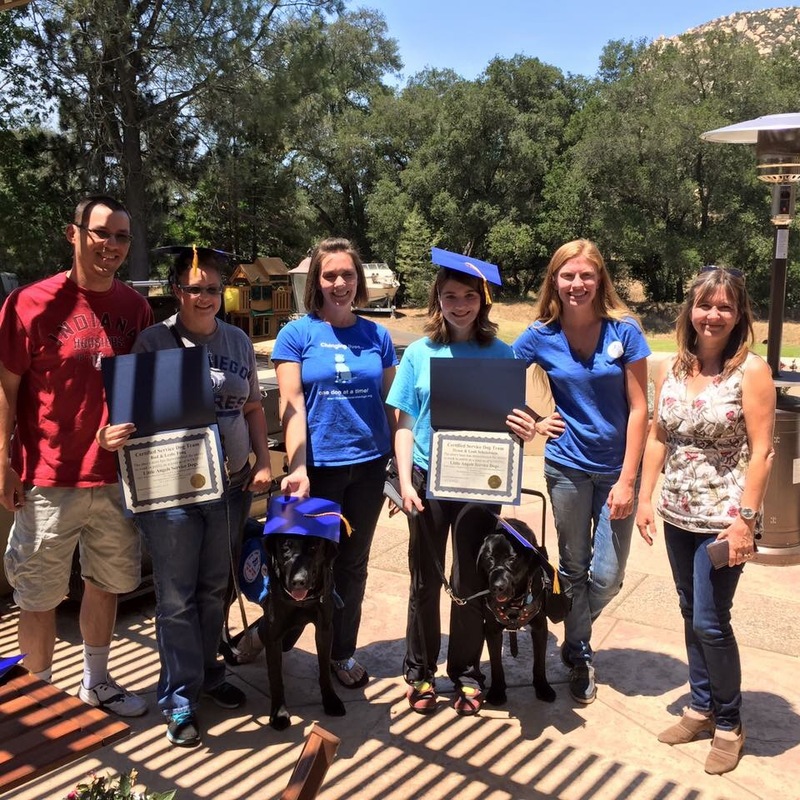 Although I don’t need any sort of paperwork or license for Dyson to come work with me in public, it was still nice to have the certificate as a written reminder of successfully completing the two-week Little Angels handler training program.